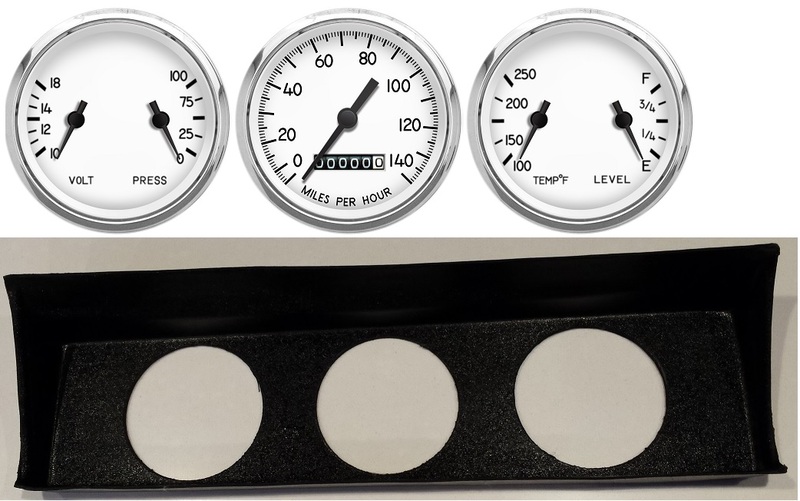 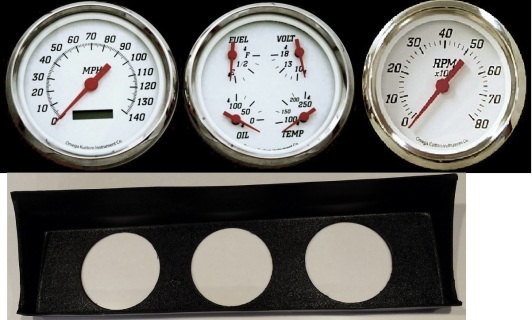 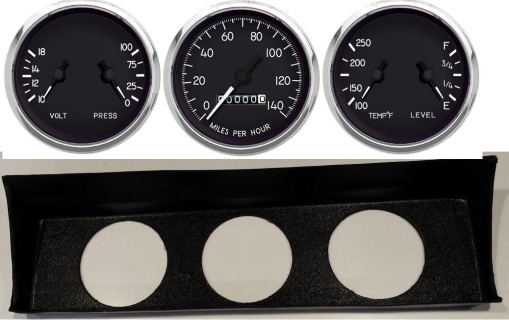 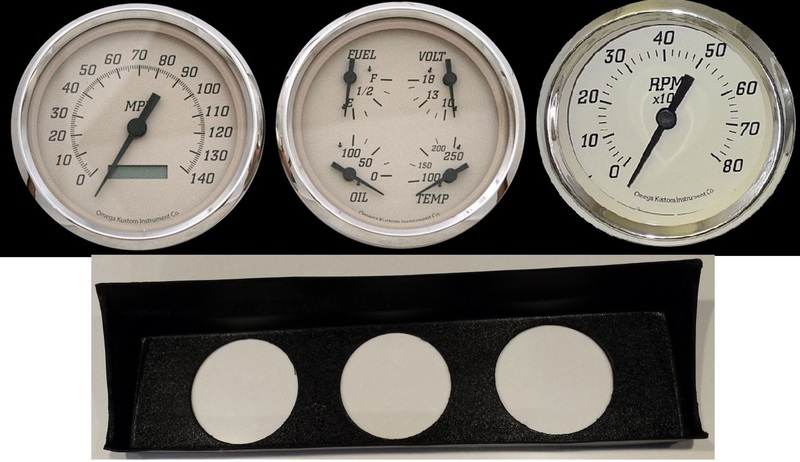 Gauge kits come in two, three, four, five and six gauge configurations. Plus we can make any package you need. 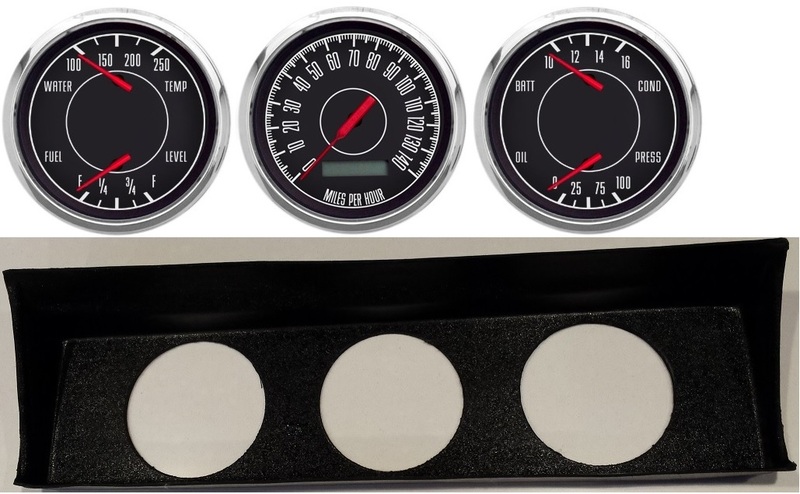 If a gauge set is not offered send us an e-mail and we will get it listed for you. 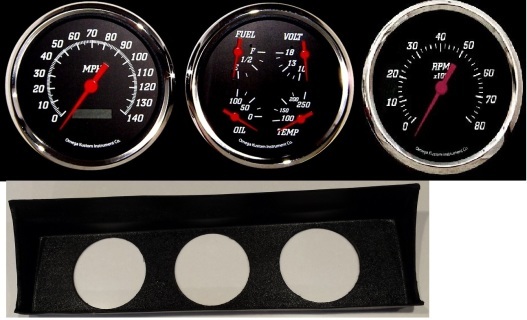 ABS Dash Panel drilled for gauges supplied in kit.